Diving into the Beauty Industry, Monica started Cosmetology School at Xenon International School of Hair Design in 2000, in Omaha, Nebraska. 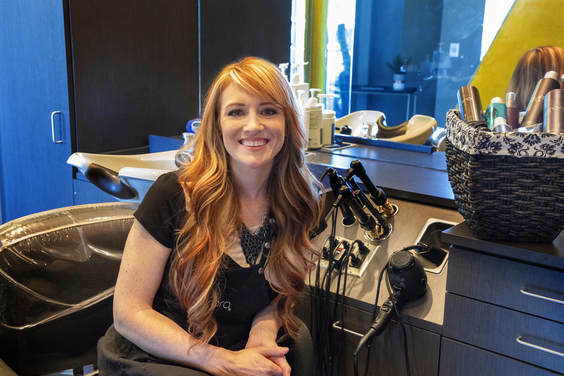 Monica’s passion as a talented and ambitious Hair Stylist quickly excelled and brought her to Las Vegas, Nevada, where she honed her expertise in high texture, African American Hair. After settling in Nebraska, Monica was determined to expand her guest’s options for services and took several years traveling to places such as North Hollywood, California; New York, New York; Newark, New Jersey; Atlanta, Georgia; Baltimore, Maryland; Washington D.C, Virginia; and Houston, Texas. Monica was determined to bring her knowledge attained from Hair Shows and other incredible artists back to her community. Monica is honored to have attended the Redken Exchange in New York, NY, be a featured stylist for the 2007 Midwest Bridal Fair and the American Idol Auditions Season 7, 2008. Monica has also donated her time and services beautifying the contestants for one of the Hope Center’s Annual Pageants, (a Jesus Christ Loving, Faith filled, Youth Activity Center founded by Ty & Terri Schenzel of Omaha, NE), as well as creating and coordinating “Senior Spa Day”, a quarterly event where local salon professionals donated their time and services to residents of a local rehabilitation facility. Monica has been trained and certified in a plethora of product lines and professional, innovative salon services such as Hairlocs Hair Extensions, Babe Hair Extensions, Lace Front wigs, Hair Integrations, Hair Prothesis, Redken, Aveda, Keune and Eufora Color lines, White Ice Teeth Whitening, Bio Ionic Retex Japanese Hair Straightening System, Brazillian Blowout Keratin Treatment, Eyelash Extensions and Enhancements, and numerous hair cutting and color techniques. 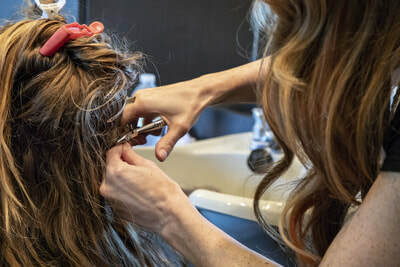 ​Monica is proud to exclusively offer Eufora Products and Services at her single chair salon suite in Omaha, NE, catered to the privacy and comfort of each and every guest. 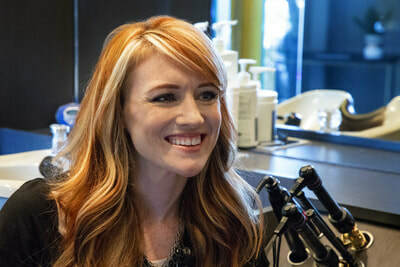 Monica is an expert at achieving the goals of her guest’s needs, including hair extensions, hair color and cutting techniques, natural hair styles and educating guests on the current health, condition and future goals of their own hair. To foster the indwelling presence of peace and joy; while accentuating each guest's external radiance, inspired by their natural, inner light.